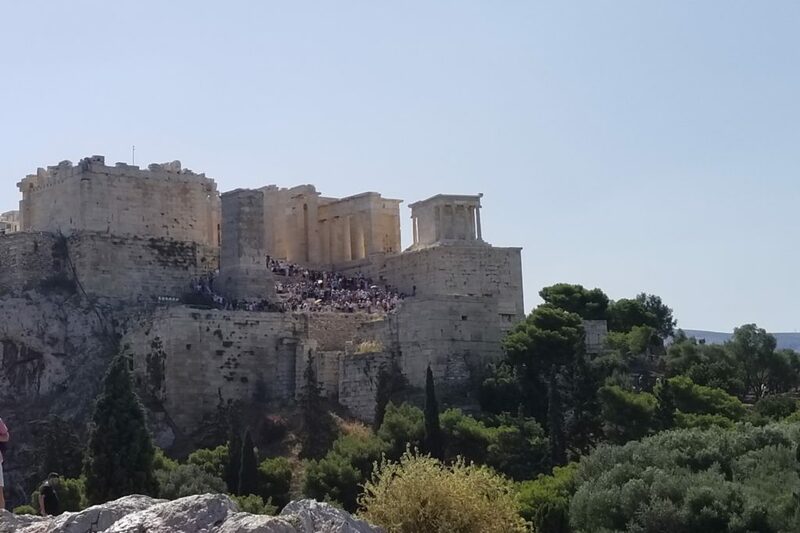 A view of the Acropolis from up top Mars Hill. 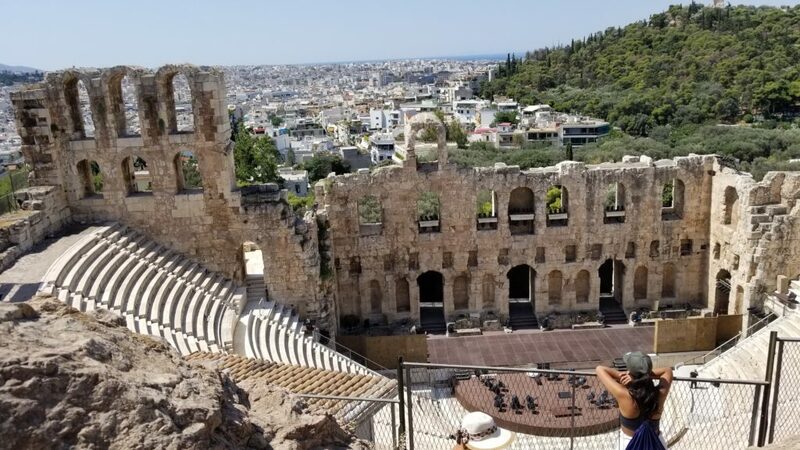 The Odeon of Herodes Atticus is a stone theatre structure located on the southwest slope of the Acropolis. 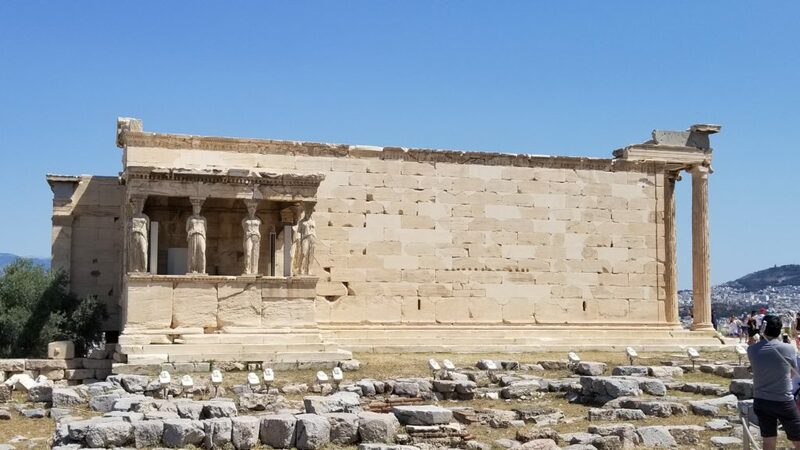 The Old Temple of Athena was the shrine of Athena Polias, the patron deity of the city of Athens.